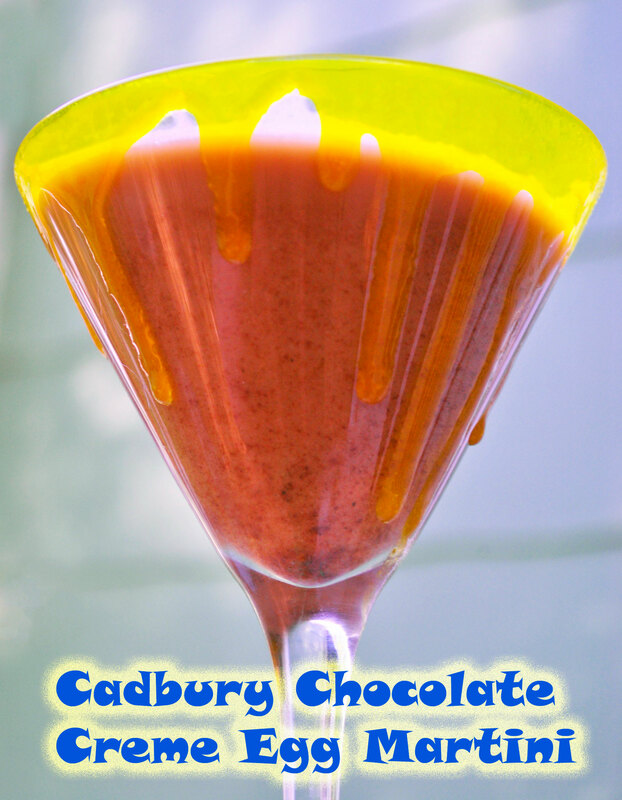 Oh…to the M…to the G.
This has to be the most DECADENT, most FABULOUS chocolate martini I have ever made. Ever consumed even. And I was a bartender for years. Years! BUT when I was bartending, the world had yet to be blessed with the ah.ma.zing. whipped cream vodka. (I’ve already had three of these, can you tell? Seriously…they are that good). 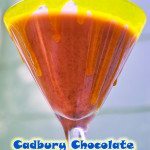 Anywho, about a week or so ago, I was trolling along on Pinterest and ran across the Tasty Trails website which had these “tasty” sounding recipes for Easter Candy Martinis. 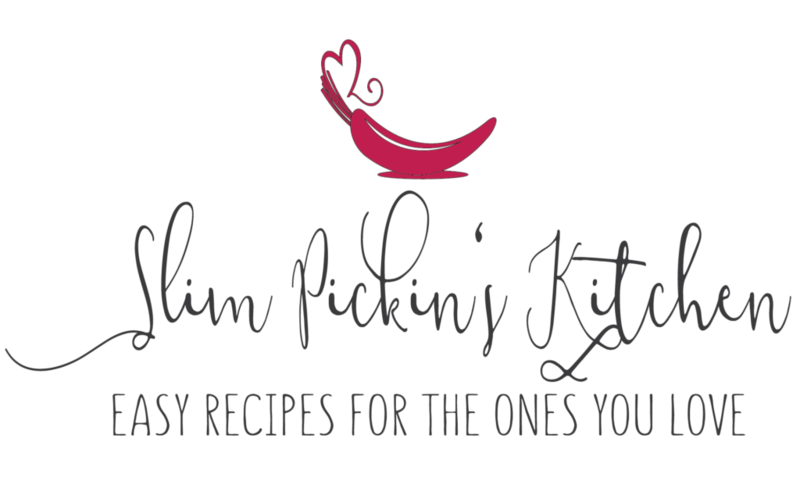 I loved their ideas and their recipes (Jelly bean infused vodka?!? Yes, please!!! ), but since I was a bartender and I consider myself a culinary creator, I thought it would be in my best interest if I came up with my own drankity-drank. So, after work today I headed over to my local ABC store thinking that maybe I would try to figure out my own jelly bean martini. I can fully imagine what I want it to taste like, but I haven’t quite figured out how I’m going to pull it off yet. I was astounded by all of the flavored vodkas on the shelf. I mean, it’s insane! When the clerk asked me if he could help me with anything, I told him my plan, and he started pointing out this flavor and then that one, explaining them to me in detail. There was fluffed marshmallow vodka, chocolate whipped cream vodka, ginger apple vodka, cake batter vodka and even FRUIT LOOP vodka. FRUIT LOOP!!! Obvi, that would have worked really well with my jelly bean idea, but for whatever reason, I just wasn’t feeling it. I kept fighting with myself on one thing. Choc-o-late. I adore it. I crave it. I’d die without it. That’s why I am obsessed with Chocolate Covered Katie. So, I ended up getting a bottle of whipped cream vodka and a bottle of creme de cocao (they were both uber inexpensive compared to most) because I knew I’d be able to use them in other Sassy Hour recipes and because I knew I’d be able to figure something out. After that, I went to the grocery store and scoured their Easter candy aisle. I saw one thing that I thought would be perfect (Chocolate Mousse Peeps), but I didn’t get marshmallow vodka so that wouldn’t really fly. Cadbury eggs. The definition of Easter [candy]. Not just any Cadbury eggs though. I knew I had a winner. Add cocoa powder and stevia packet to the bottom of a martini shaker. Heat almond milk in a microwave safe cup for one minute. While milk is heating, mix syrup and food coloring together on a small plate until it’s golden in color. Dip or twirl the rim of a martini glass in the syrup. Remove milk from microwave and pour into shaker over cocoa mixture, stirring to dissolve. Add ice cubes to the milk and cocoa mixture. Pour in vodka and crème de cocao. Strain into martini glassed dripping with caramel. 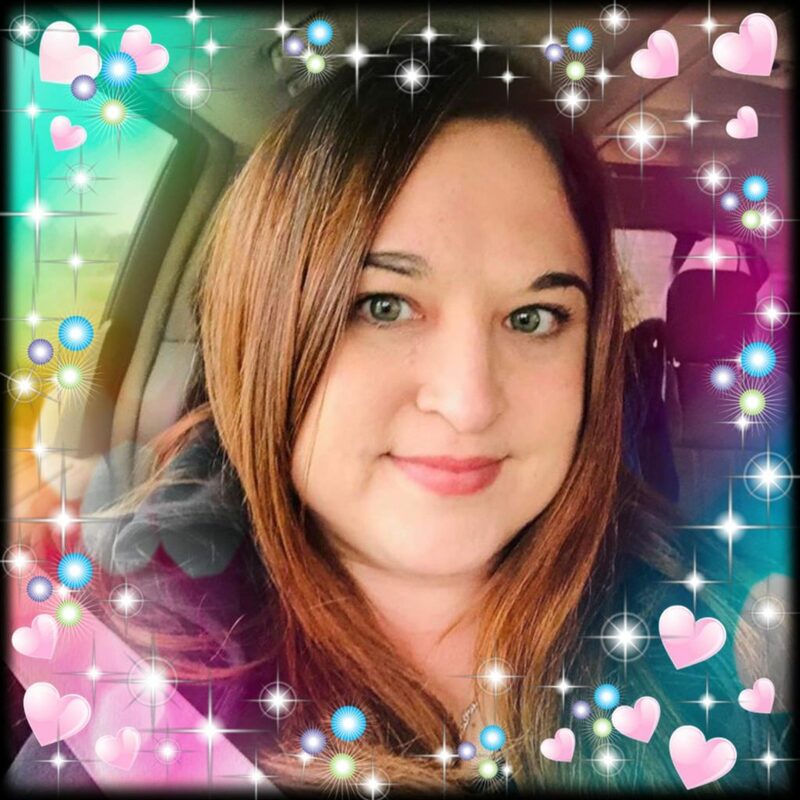 Love the “sassy hour” idea! How about sassy life? 🙂 Thanks for sharing this recipe, I think I’ll get it going in time for Sunday ahem Saturday brunch! Ha! Ha! Yes, let’s live “sassy lives” indeed! Sometimes I feel like I already do. That’s for sure!